So, do you wear your primer? | escaped. So, do you wear your primer? I've found the secret behind makeups! It's this thing, called primer. 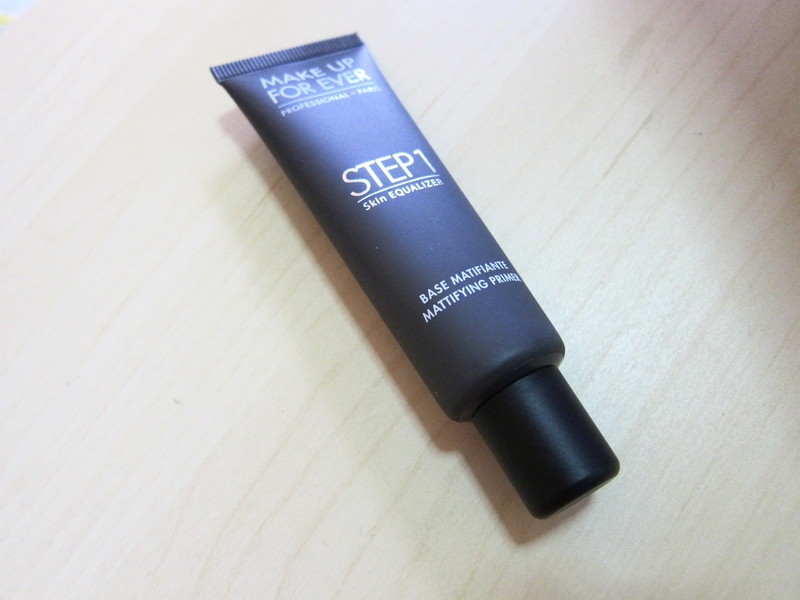 I was doubtful after first application, because to me, it's too matte and I didn't really see any difference. Hence it's been sitting in the makeup drawer for the longest time. Until last weekend, while I was getting ready for Jua's wedding. I saw the previous night's picture (during Jua's akad nikah where I was one of the bridesmaids) and cringed - my face was too oily, could even be seen in pictures! Hate this part. Hate it hate it! But it's in the genes, I can't do anything about it. God knows I tried. So I saw this primer, and figured what the heck, let's see if it makes any difference. It truly did. I'd never doubt my first instincts again. You can't see it in this picture, but I actually had a big zit near my forehead HAHA. Looked a LOT less oily compared to previous night's makeup. If I didn't wear this, swear by the time this picture was taken (at almost 4 pm) I'd look like a lobster kena panggang. It would've been better too if I dabbed some blusher on, but I decided not to overdo the makeup, so. hard to believe that ure someone's mom now. take care. I still cant believe it either. thank you, Anonymous.